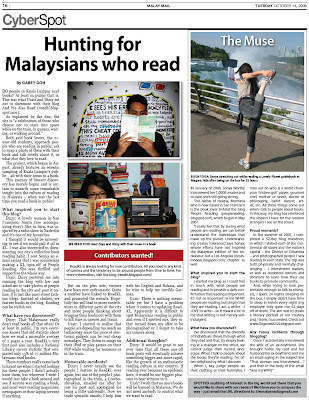 readKL: in which we get spotted! I am an American who is from SF and currently lives in PJ and love the blog from SF. I was very happy to see that you have started such a blog here. Hopefully, people will want to read more! I think its great. thanks so much kaz for the support :) being featured in the papers was a crazy honour for us! wow. now you're in da papers! thats cool. i'll be sure to hunt some more readers! *though it's seriously like trying to find a four leaf clover -_-"